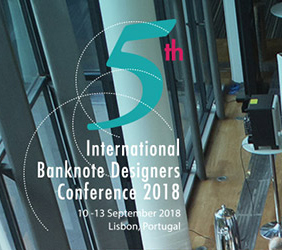 “The 5th International Banknote Designers Conference (IBDC) is a dedicated industry event addressing the issues confronted by all actors involved in the banknote design process. The conference is organised by the International Banknote Designers Association (IBDA) and is the only dedicated event and meeting place for the worlds’ banknote design community. The four day event will consist of a series of presentations, panel discussions and workshops addressing the theme of banknote design and related issues.